It’s December, so I went through my social media feeds and grabbed all the MicroStories I’d tweeted during the month of November. The decades-old interstellar travel program was scrapped. Better that humanity live and die on its rock, than the alternative. The marines looked on as posthumans destroyed the alien army. He sat by my fire and scanned the horizon, looking for a ship, maybe. He didn’t or couldn’t speak, and I had no social implants. The regulars eyed the stranger with open hostility as he bellied up to the bar. Until they saw the Compassion Gun at his hip. She had no reply, just sighed & oozed out the door. Interstellar trade was wildly impractical and expensive. The only thing more impractical and expensive was interstellar war. We designed them to look unpleasant; but they were so devoted to us, we still felt guilty when sending them to their deaths. Conjured servitors were so much more efficient, so the mages dismissed their human help. Things went well, until the union. The 1st wave of invaders were easy to spot; they had virtually no empathy. The 2nd wave were even easier. They had far too much. – Aliens from within or beyond our Solar System? We were surprised that your government took so long to contact our orbiter. – Well, we assumed it was *another* posthuman prank. The Souvenir Gloves could summon a replica of anything they’d ever touched. A sword, a key, a person. I only had the left glove. The Summoners wanted to renegotiate the pentacle maintenance contract. “Call their bluff,” a voice whispered to the archmage. Wizards, like artists, needed patrons and lived and died on the opinions of critics. Demons were willing to be either. The orcs tread carefully across Farmer Orris’ land. Some men named their swords; Orris had named his plowshare the Bleeder. We had orders to dock w/ the nearest derelict ship. Which was attached to an older ship. Which was attached to the oldest ship. He looked all over for the keys. Poor health became a status symbol, as preventive medicine costs dropped. People with the means paid for the cure. 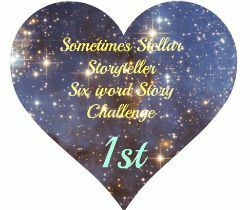 In November, my blogging friend Haylee alerted me to the story challenges on the Sometimes Stellar Storyteller blog. The week’s challenge was to write a six-word story based on the concept of Stubborness. Midnight, the meatloaf remained uneaten. Yes, I went with five words, because the rules didn’t disallow that. A micro-micro-story. Yes, I’m bragging. I’ll be insufferable about it for awhile. Thanks everyone who has read and enjoyed my small stories. I tweet flash-fiction at irregular intervals on my Twitter account, @patman23. At more regular intervals, I tweet about having to walk my dogs at 5 a.m. in the increasingly chill weather. To think that I’m giving this all away for free! 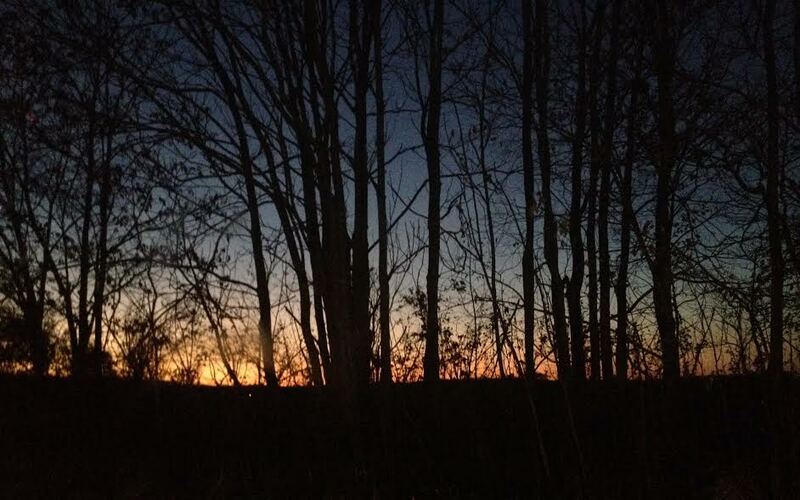 Top image is a sunset, taken by my daughter, Grace. Should you wish to use it, attribution would be nice. That’s the extent of my claim to the image. I make some claims to the text. So there. These are fabulous! I’m going to have to try this. Thank you so much, you’re very kind to say so. I hope you enjoy writing your own tweet-sized stories. Thank you so much! I’m glad you like them, and I hope you give tweet-based flash fiction a chance. That’d be so cool!